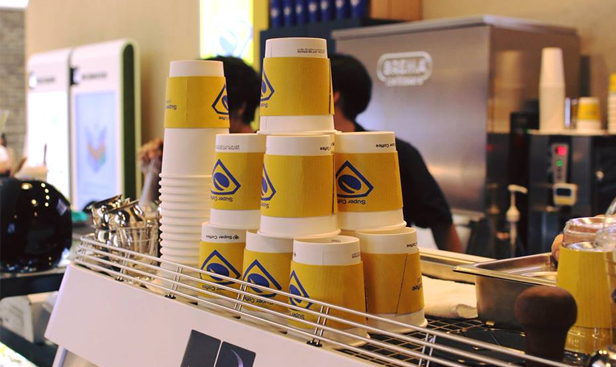 The logo of Super Coffee is a logo that symbolizes the swelling of the semicircle immediately after pouring water into the drier when hand dripping. I know there are a lot of people who did not want to add a complicated explanation. 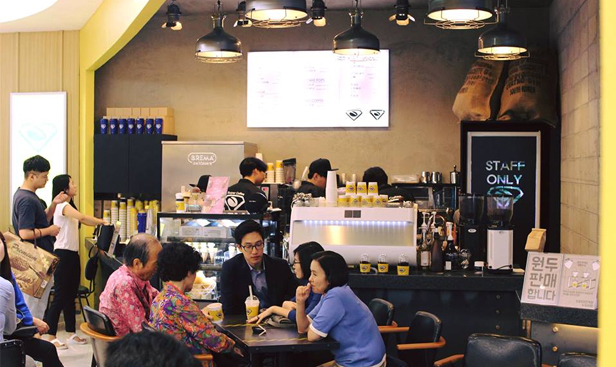 In 2011, two small tables in a 6-pyeong space in Yeouido, and now one of the super coffee is started with a roaster. The reaction was hot right from the start. 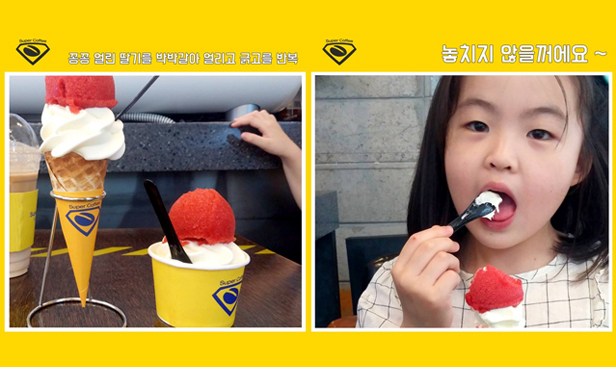 The customers who ordered in rare scenes in Yeouido were also amazing (even me). 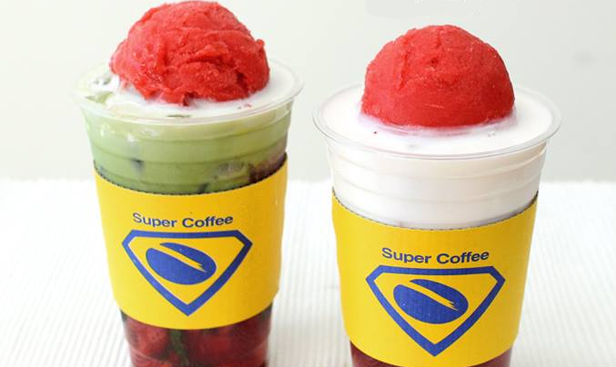 Super Coffee Power Up! I always go with the phrase. 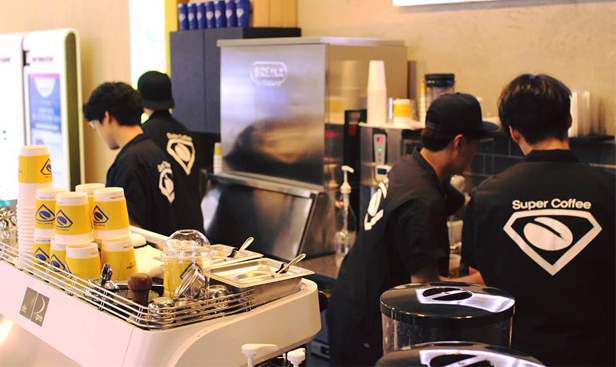 Whatever the occupation, older or younger, both men and women, we all think that it is a force to smile at each other. 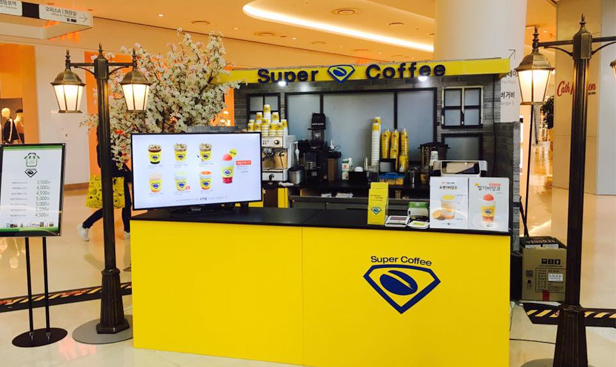 Super Coffee is a Korean coffee franchise brand that operates more than 50 stores nationwide. 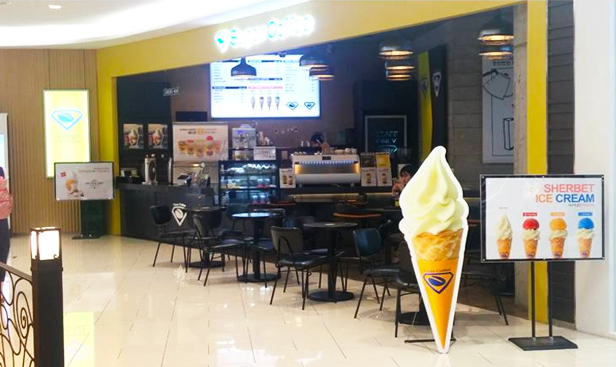 Orange Bianco, Grapefruit Bianco, Kula Shaker, Creamed Tiramisu and many other unique hit menus. 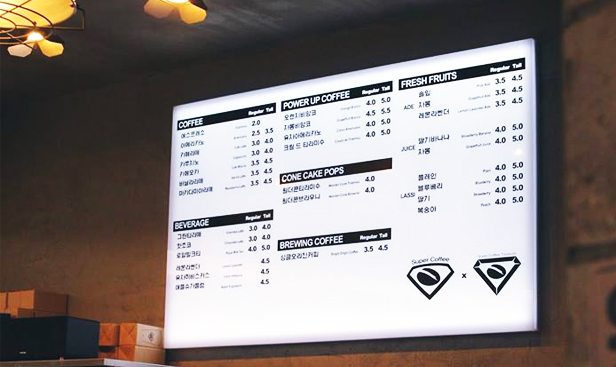 It has its own beverage lineup that adds not only taste but also menu story, color sensitivity and eating fun. 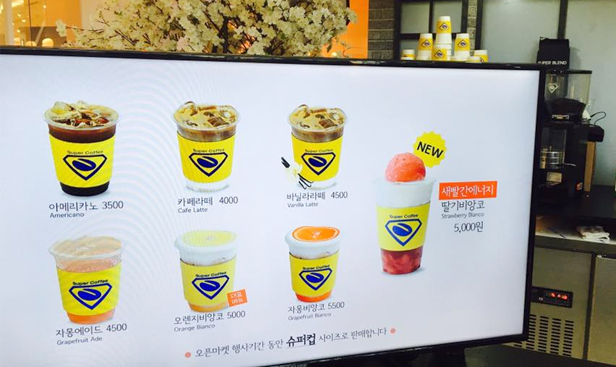 Super Coffee has a lot of fixed fans even though it has never advertised. 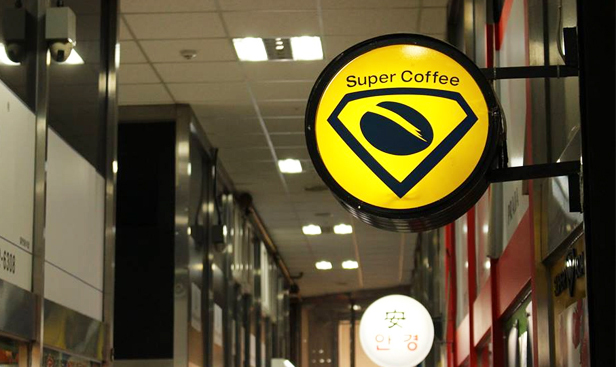 Established Super Coffee Inc. in 2014, we are steadily preparing the foundation for domestic and overseas advancement.